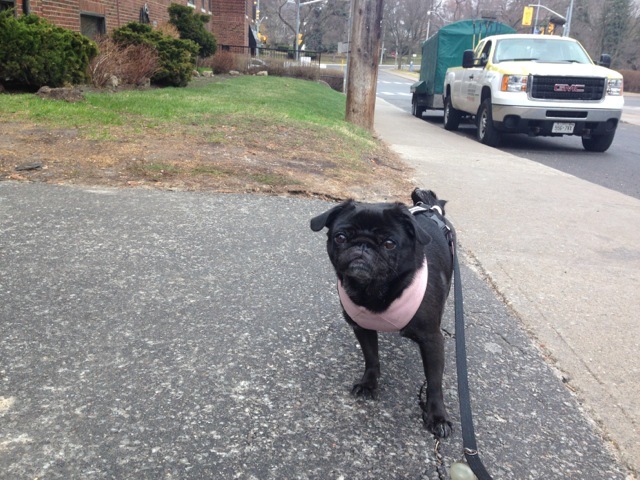 Hey, friends in the Northern Hemisphere – have you been having the kind of spring that we’ve been having here in Lola Pug’s hometown? …and not 12 hours later, you’re back in your parka, wondering why and how anyone in their right mind would ever even think of going outside…. 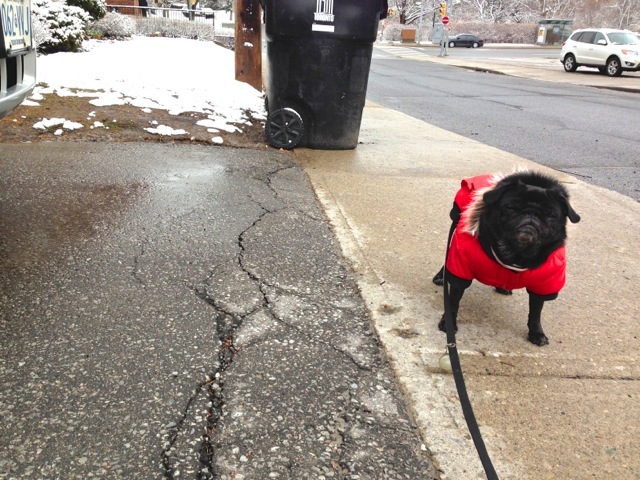 Despite my best attempts to convince her otherwise, it was quite clear that The Pug thought I was the cause of the weather change. …and so we wait for the few gorgeous, flower-filled days that Mother Nature will grant us until we descend headfirst into summer. Springtime, we’re waiting for you! In the meantime, LP and I have been having so many adventures, but simply no time to blog about them. We have a lot to catch up on, and we’re looking forward to sharing it all with you in the month ahead! Luckily we aren’t experiencing that much ofa swing, but sadly spring never lasts long enough here. Glad you’ve been having so much fun despite the weather! It’s just become grey and rainy this week, Christy. 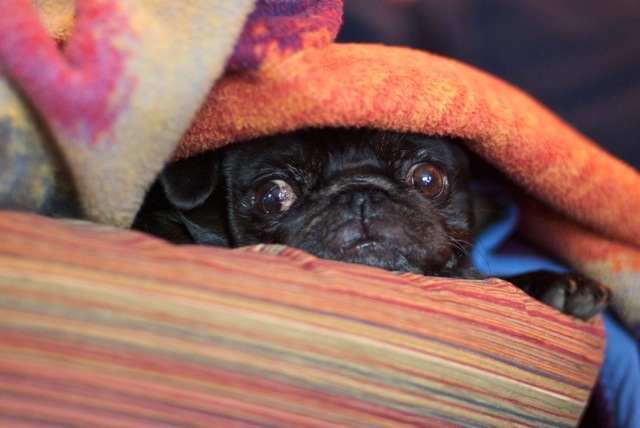 Very much NOT pug weather! We’re made of sugar and spice! We meeeellllt in the rain! Honestly, I’m 100% behind Lola in that last photo. Maybe I’ll come over and join her. Mama’s working on it, Cat! She’s kinda slow sometimes. She grumbles about having to work hard to “keep me in the lifestyle I’m accustomed to”, or something like that. Whatever. Lola is totally on the right page. Up here in New England we are sick of the bipolar weather! My pugs won’t step outside with this pouring rain we have been getting. I might have to get them their own personal umbrellas! It’s raining here today, Mai Tai and Gronk, and mama’s trying to make me go outside! Send reinforcements! Cute pictures of Lola 🙂 We have had changeable weather here too. Cold and rainy one day and then sunny and warm the next. Oh, and Bassa is so much bigger than Lola – the heat must do a real number on her! Fantastic photos! Especially the one with Lola peeking out of the basket!